“Member cities of the World Energy Cities Partnership (WECP) were brought together by the belief that a common pattern of development around the energy sector could create unique opportunities for collaboration in economic development. “Our primary focus as members of the WECP is on encouraging collaboration between our member cities in areas such as energy sector innovation and diversification, education and cultural exchanges, underpinned by a desire to ensure that our communities benefit from the opportunities that we have as global energy capitals. We are always keen to engage with industry, the academic sector and civic and third sector leaders to promote the longer-term benefits that energy cities deliver and to explore sustainable solutions to city growth in a dynamic global economy. 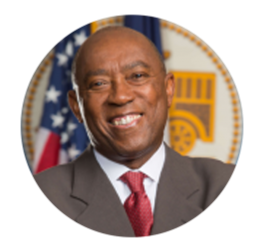 “Over 20 years ago, the City of Houston helped found the WECP to create a forum where global leaders can discuss strategies and help our energy powered cities prosper. Today, the WECP is led by 19 mayors, striving to improve the lives of their citizens through collaborations related to energy development, education, and green initiatives.